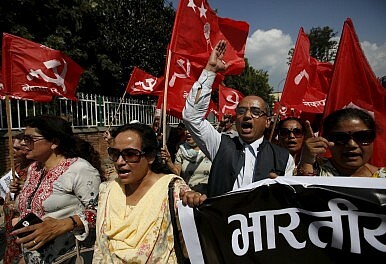 On September 20, Nepal’s President Ram Baran Yadav announced that his country had a new constitution. The promulgation of the constitution is significant because it paves the way for the establishment of a democratic political system in the country. The constitution itself is the result of eight years of deliberation, including the failure of the first Constituent Assembly in 2012. It is the seventh constitution to have been adopted by Nepal in the last 67 years and the first by democratically elected representatives. In the last few months, these communities have strongly protested against provisions of the constitution which they fear will impinge on their cultural identities. Prominent among the concerns are provisions related to the reorganization of provinces. The Madhesis largely inhabit the plain regions that border India. The protest has reportedly claimed 40 lives so far and New Delhi fears that violence may spill over to the Indian side if corrective measures are not taken. The constitution was passed by a clear majority with 507 of the 598 constituent assembly members voting in favor. However, around 60 members from the Madhesis and Janjatis community boycotted the vote. India views the constitution as unrepresentative of a significant fraction of the population. Europe has ceded all influence in its Southern neighborhood, as Russia intervenes in Syria to protect its interests. Russia's recently launched bombing of opposition targets in Syria is a brutal reminder of the decline of Western influence in the Middle East and North Africa. In Afghanistan, the growing military might of Taliban fighters, who are now in open warfare with Afghan security forces, has exposed the weaknesses of the NATO-led mission in that country. Since the alliance's withdrawal from Afghanistan in December 2014 after an eleven-year stint there, the country is lurching into another war. Britain secretly obtained vast amounts of communications data from Pakistan to identify terrorists by hacking into routers in the country made by an American firm, according to whistleblower Edward Snowden. The former intelligence contractor with the US National Security Agency said that the Government Communications Headquarters, British intelligence and security organisation responsible for providing signals intelligence, has been monitoring Pakistan's communication data. To access the data, the GCHQ hacked routers made by Cisco, Snowden said in an interview with the BBC. He also stated that the spying was done with the permission of the British government and the apparent aim of such hacking was to aid in the identification of terrorists. 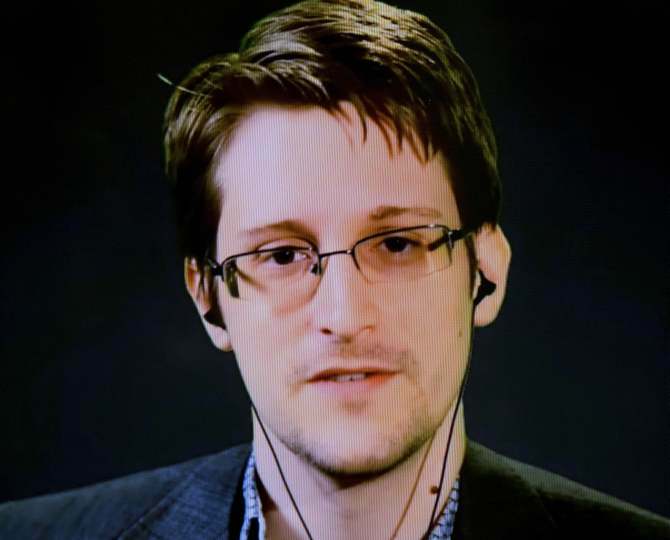 Thirty-two-year-old Snowden, charged by the US with espionage and theft of government property after leaking sensitive documents to the media about NSA's Internet and phone surveillance, has been living in exile in Russia since June 2013. Snowden also said that British spies can hack into phones remotely with a simple text message and make audio recordings or take photos without owners knowing. "They want to own your phone instead of you," he said. The GCHQ had the power to hack into phones without their owners' knowledge, he said. Snowden said GCHQ could gain access to a handset by sending it an encrypted text message and use it for such things as taking pictures and listening in. The UK government has declined to comment on Snowden's claims. He said both GCHQ and the NSA had invested heavily in technology allowing them to hack smartphones. Snowden talked about GCHQ's ‘Smurf Suite’, a collection of secret intercept capabilities individually named after the little blue imps of Belgian cartoon fame. "Dreamy Smurf is the power management tool which means turning your phone on and off with you knowing," he said. "Nosey Smurf is the 'hot mic' tool. For example if it's in your pocket, [GCHQ] can turn the microphone on and listen to everything that's going on around you -- even if your phone is switched off because they've got the other tools for turning it on. "Tracker Smurf is a geo-location tool which allows [GCHQ] to follow you with a greater precision than you would get from the typical triangulation of cellphone towers," he said. Once GCHQ had gained access to a user's handset, Snowden said the agency would be able to see "who you call, what you've texted, the things you've browsed, the list of your contacts, the places you've been, the wireless networks that your phone is associated with. Snowden also explained that the SMS sent by the agency to gain access to the phone would pass unnoticed by the handset's owner. "It's called an 'exploit'," he said. De-terrorise Pak policies towards India, General Sharif! 'New Delhi feels that given the internal dynamics in Pakistan and the overwhelming powers wielded by the army, one will have to wait for better times to see any meaningful progress in the India-Pakistan relationship,' says Ambassador G Parthasarthy. 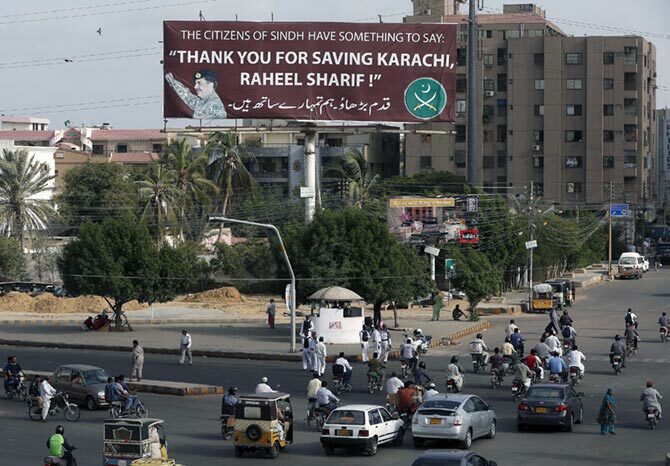 IMAGE: General Raheel Sharif -- seen here on a billboard in Karachi -- is the de facto ruler of Pakistan, says G Parthasarthy, with Nawaz Sharif the lameduck prime minister. Over the past two months, both India and Pakistan have marked the 50th anniversary of the 1965 conflict with great gusto. While the conflict was militarily inconclusive, it proved a diplomatic disaster for Pakistan. Pakistan's ally, the United States, was furious that its military ruler, Field Marshal Ayub Khan, egged on by his then foreign minister Zulfiqar Ali Bhutto, triggered the dangerous conflict. The Pakistan government, using armed infiltrators, the army and sophisticated US supplied weapons, including tanks and fighter aircraft, sought to militarily seize control of Jammu and Kashmir. In undertaking his military misadventure, Ayub did not anticipate India's readiness to escalate and widen the conflict zone. The Indian Army went on the offensive crossing the cease-fire line and seizing strategic positions in Pakistan occupied Kashmir. Washington responded by cutting off all arms assistance to Pakistan. While Pakistan lost its principal arms supplier, India developed a robust military partnership with the Soviet Union, to decisively defeat Pakistan in the Bangladesh conflict, six years later, in December 1971. After failing to achieve his objective of seizing control of Jammu and Kashmir militarily, President Ayub Khan sought to urge the UN to arrange a plebiscite in the state. He forgot that Pakistan itself had rendered the key 1948 UN Security Council Resolution redundant and un-implementable, by refusing to withdraw its army from the state, as required by the UN Resolution. Even as Prime Minister Narendra Modi flies from one public-relations triumph to the next in foreign capitals, discerning people back home have an uneasy feeling that they are in a schizophrenic trap. For a nation so resistant to change, India seems to be prematurely donning a mantle that, in reality, remains a distant vision. Our cities, including the capital, are still choked with slums, garbage, debris and pollution. As industry lags, skilling of youth and job creation remain a chimera. The 'unorganized sector' reigns supreme: with hawkers, casual labourers, beggars and the unemployed thronging our streets, seeking a living. Venality and corruption are still rampant - albeit in newer formats - and the powerful cling to their privileges, protected by Teflon-coated skins. Many pundits say that the NDA government is in its early days and still has 43 months to fulfill its grand promises. Given India's huge potential as a market and Modi's assiduous international efforts to garner FDI, one should, perhaps, withhold judgment on the NDA, for now. However, such indulgence may not be appropriate in the critical realm of the nation's defence, which brooks no impediments or prevarication. It is here that the NDA government has scored several 'self-goals' that are bound to have a deleterious impact on India's national security. The first instance relates to the clumsy handling of the military veterans' demand for restoration of One Rank One Pension or OROP - arbitrarily taken away in 1973. Adopting an ostrich-like attitude, the NDA misjudged the motivation, endurance and campaigning skills of the nation's military veterans. The prolonged stand-off has embarrassed the nation and hurt the pride of the soldier. Having allowed this sensitive issue to fester, the NDA government has itself to blame if the canker of politicization has irretrievably entered our military. *** Power Diffusion, Decay, and Military Control - A Cause for Concern? 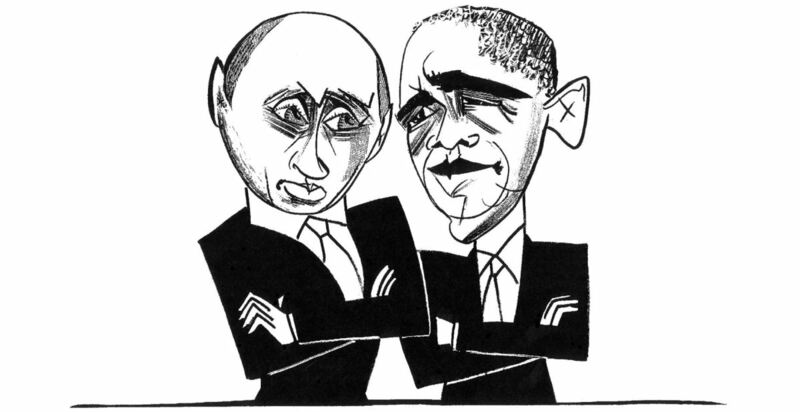 Many in the national security community recognize that the nature of power is changing. How this change will affect the structure of the US military is unknown but most in the Pentagon assume the current approach to organizational control will remain status quo for the foreseeable future. To them, doing things in future in the same ways we have always done them will suffice. The way that power is shifting in other parts of society suggests the military command structure must adapt to remain effective in the information age. Making sweeping changes will be difficult but failing to do anything will be disastrous. In recent months, Pakistan’s media have gone overboard to lionize General Raheel Sharif. He’s been lauded for his heroism and, ironically, credited with strengthening democratic institutions. One prominent TV talk show hostdedicated an entire show to discussing what he described as the public’s desire for an extension of Sharif’s term (which is scheduled to end next year). In the 2004 polls, just seven seats separated the BJP from victory. Congress returned to power enabled by a post-script, of a craftily authored alliance. The BJP could not reconcile with and stomach the defeat. Suffering from an acquired identity deficiency syndrome, it wallowed in victimhood politics. Young aspiring India simply could not and would not identify with the BJP. Unsurprisingly, the BJP was defeated in 2009 too. Cut to 2013-14. Enter Narendra Modi. Riding on the Gujarat Model, he articulated ideas and solutions, exhorted the idea of ‘One India’, and re-installed pride to transport the BJP out of the rut of victimhood to a historic victory. Notably, the two sides agreed to a special exception for Germany companies seeking entry into the the Indian market to set up operations. Under a new bilateral agreement, German firms will receive fast-track approval to enter in the Indian market, theTimes of India reports. Merkel is accompanied in India by a large delegation of German business leaders. Exceptional access to encrypted message by the law enforcement agencies is both essential and risky business. On the one hand, encryption helps private enterprise retain confidential information, on the other hand, they reduce the chance of nabbing criminals. Government of India, which normally faithfully follows colonial era innovations like the 19th-century vintage telegraph and telephone and Macaulay’s penal code laws, is a grand delusion and a profound misfit for the modern libertarian aspiring younger generations. During mid-September 2015, when government spread a 6-paged-1761-worded ‘Draft National Encryption Policy’, India’s matured national media, nascent social networking sites, and gullible internet websites have been collectively infuriated. The draft policy was seeking law enforcement agencies’ ‘exceptional access’ into internet data and web communications of all and sundry. Unable to comprehend how to respond to the incessant media frenzy and public outrage, a confabulating Minister for Communication and Information Technology, Mr. Ravi Shankar Prasad, asked his officials to withdraw the draft with a promise to return with appropriate revision. The timing of the ill-fated policy could never be bad because during the same time Prime Minister Narendra Modi was finalizing his speech to be delivered at Google, Facebook and Apple headquarters at Silicon Valley advocating ‘freedom of opinion’ and ‘privacy’ when his officials back home mulling ending what Modi was supposed to promise his overseas audience. India needs to play a bigger role in Afghanistan The government should craft a futuristic policy and execute it strategically. It is said that the less you know about an opportunity, the more attractive it is. Recently, I got a golden opportunity to engage in a three-day dialogue at the North Atlantic Treaty Organisation (NATO) in Brussels, along with some selected policy makers of our country, on the invitation of the government of United States, for a deeper understanding and interaction on how NATO's post-2014 security partnership intersects with India's security interests in Afghanistan, focusing on the complexities of the transition process and on the importance of international cooperation, especially India's, in making the transition a success. From India's point of view, it was very important for us to analyse, measure and understand the magnitude of threats and opportunities for India vis-a-vis situation in Afghanistan, in the post-2014 scenario. A key focus of our engagement was the security relationship. We shared the genuine security concerns of our country about Afghanistan's future and keenness of India for a broader opportunity in the country in the post-2014 scenario. There is no doubt that the UN mandated intervention in Afghanistan by the NATO-led International Security Assistance Force (ISAF) in 2001 was culmination of varied geopolitical and economic considerations, besides the genuine security factors, but given that situation, there was no comparable or equivalent organisation other than NATO to effectively deal with the huge responsibility. The achievements of NATO could be measured in terms of its objectives, as a security organisation. These technological and economic innovations were accompanied by a flowering of artistic genius, including the poetry of Lu You, though none deserve more praise than Zhang Zeduan’s Along the River During Qingming Festival. Painted at the height of the Song dynasty, it displays the capital Kaifeng on one of the busiest days of the year. And it not only vividly depicts the peak of Chinese civilization but also, considering Kaifeng was then the world’s largest city (with roughly 700,000 people), the wonders of 12th century humanity stretched to their limits. This 17-foot-long masterpiece is packed with personalities. I’m embarrassed to admit it, but the first time I saw it I was reminded of a Where’s Wally? picture book. And while its popularity has earned it the nickname “China’s Mona Lisa,” the similarities end there, for while the Mona Lisa is the fugue perfected, this is life symphonic. Is This the Most Underestimated Ship in China's Navy? The People’s Liberation Army Navy (PLAN)’s Type-71 Yuzhao-class is an underestimated piece of kit. In service since 2007, the PLAN commissioned its fourth Yuzhao, the Yimengshan, earlier this year. The ship is supposed to complete sea trials by this December. Although the displacement of these ships vary slightly, they are each capable of transporting a fully complemented battalion of PLAN marines, 15-20 armored vehicles, and four Z-8 or Z-18 helicopters (the former being a copy of the French Aerospatiale SA 321 Super Frelon.) Each Yuzhao can hold up to four Yuyi landing craft (hovercraft), which in turn can carry a platoon of marines or armored vehicles. Each hovercraft can carry up to 60 tons, which would allow it to embark a Type 96 main battle tank. Comparable to the USS San Antonio-class, the Yuzhao displaces around 20,400 short tons and, according to China State Shipbuilding Corporation, has a maximum range of 10,000 nautical miles (19,000 km). This basically gives the ships the necessary range to operate anywhere in the Eastern Pacific or Indian Ocean. They are not heavily armed, however, which explains why they are not as frequently exposed in the foreign media as China’s other “sexier” recent naval additions. Each ship carries only a single 76 mm AK-176 gun. However, they are reasonably well protected by four AK-630 Close-in Weapons Systems (CIWS), as well as chaff and decoy launchers. By comparison, another modern vessel in service with the PLAN, the Type 54A Jiangkai II-class frigate, carries only 2 CIWS. The winner, Tu Youyou, fused herbal research and biochemistry to develop a new anti-malaria drug. In 2012, Chinese author Mo Yan became the first Chinese national to win a Nobel prize – aside from dissident Liu Xiaobi, winner of the 2010 Peace Prize, who is in prison. Liu’s award was criticized as a foreign attempt to sow discord in China, while Mo’s victory was widely celebrated. But it has long been a source of puzzlement (and frustration) for China’s leaders that, though their emigres notched many a victory on behalf of other countries, no scientist holding Chinese citizenship had ever received one of the world’s most well-known awards for scientific achievement. On October 5, the Nobel Assembly announced that Chinese national Tu Youyou had been awarded the Nobel Prize in Physiology or Medicine. Tu’s award is an acknowledgement of her discovery of Artemisinin, a drug that helps reduce the mortality rate of malaria. She shares the 2015 prize with William C. Campbell and Satoshi Omura, whose separate research efforts led to the discovery of a drug that helps treat parasitic infections. When asking Chinese officials late last year about foreign policy priorities for 2015, the 70th anniversaries of the end of World War II and the founding of the United Nations were usually named among the top five. The importance China attributed to these events was not in Europe, where commemorations of the past were vastly overshadowed by the challenges of the present. However, the opening of the 70th session of the General Assembly did serve as a reminder of why the UN is still one of the few constants in international relations. In these turbulent times, the gathering of world leaders that allows for an open exchange and many behind the scenes encounters has not lost its relevance. The anniversary celebrations in connection with the 2030 Agenda for Sustainable Development and the Peacekeeping Summit led to an audience packed with world leaders – a degree of high-level representation that New York witnesses only every five to ten years. The setting thus served as an ideal stage for Xi Jinping’s first appearance at the United Nations. It was a wisely chosen opportunity for the president to lay out China’s agenda for the future. Xi Jinping addressed his colleagues on the banks of the East River at three occasions. He used the undivided attention of the international community to not only indulge in standard Chinese Communist Party rhetoric but also make concrete announcements. It was the first opportunity for the international community to get an idea of the future role Xi wishes for his country to play within the United Nations. The Great Wall, as President Richard Nixon so elegantly said on his first trip to Beijing in 1972, was indeed a “great wall.” Nearly half a century later, a new Great Wall is under construction by China — what Adm. Harry Harris, the commander of U.S. military forces throughout the Pacific, hasfamously called a “Great Wall Of Sand.” That wall, unfortunately, is not so great. That’s why the United States needs to act now. The Great Wall, as President Richard Nixon so elegantly said on his first trip to Beijing in 1972, was indeed a “great wall.” Nearly half a century later, a new Great Wall is under construction by China — what Adm. Harry Harris, the commander of U.S. military forces throughout the Pacific, has famously called a “Great Wall Of Sand.” That wall, unfortunately, is not so great. The Russian air force in Syria has flown straight into the West’s fantasy air space. The Russians, we are now informed, are bombing the “moderates” in Syria – “moderates” whom even the Americans admitted two months ago, no longer existed. It’s rather like the Isis fighters who left Europe to fight for the “Caliphate”.Remember them? Scarcely two months ago, our political leaders – and leader writers – were warning us all of the enormous danger posed by “home-grown” Islamists who were leaving Britain and other European countries and America to fight for the monsters of Isis. Then the hundreds of thousands of Muslim refugees began trekking up the Balkans towards Europe after risking death in the Mediterranean – and we were all told by the same political leaders to be fearful that Isis killers were among them. It’s amazing how European Muslim fighters fly to Turkey to join Isis, and a few weeks later, they’re drowning in leaky boats or tramping back again and taking trains from Hungary to Germany. But if this nonsense was true, where did they get the time for all the terrorist training they need in order to attack us when they get back to Europe? It is possible, of course, that this was mere storytelling. By contrast, the chorus of horror that has accompanied Russia’s cruel air strikes this past week has gone beyond sanity. Foreign terrorist fighters (FTFs) are an urgent global security problem, and a long-term strategic threat. They strengthen the ranks of Islamic jihadists abroad, and survivor returnees present a significant blowback danger in their states of origin. Other survivors spread jihad elsewhere in the world, or become resources for international criminal networks. The tragedy at the Hajj in Mecca has become a virulent political controversy for Saudi Arabia, especially with its Iranian nemesis. At the center of the storm is Saudi Crown Prince and Minister of the Interior Muhammad bin Nayef—who was the focus of my recently-released Brookings Essay, "The Prince of Counterterrorism." The Saudis admit that the deadly stampede last month killed 769 pilgrims. The BBC reports over 1,200 deaths have been reported through official statements and media from the 34 countries reporting casualties so far. 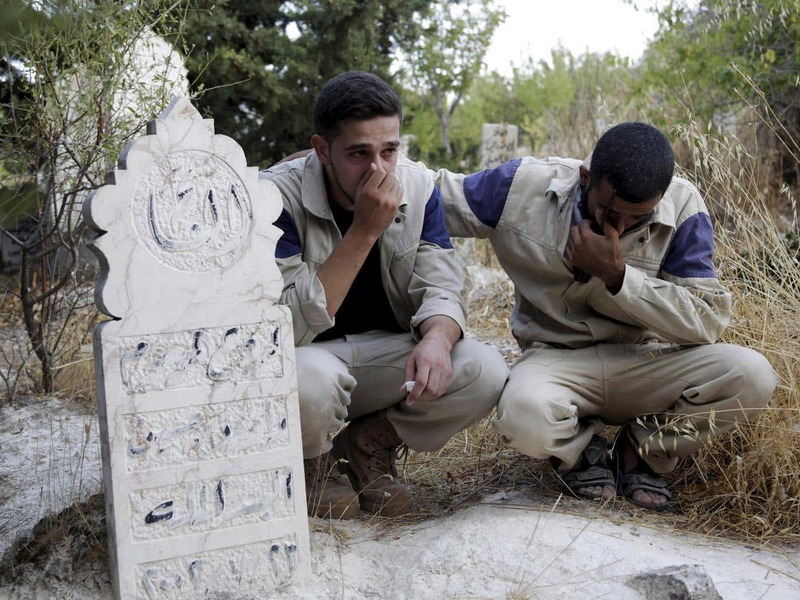 Iran claims 464 of its citizens have already been confirmed dead and more are missing. The Saudis increasingly are on the defensive about their handling of the incident. Tehran blames Saudi incompetence and insensitivity for the tragedy and notes it is only the latest in a long series of such tragic accidents during the Hajj over the last several decades. Iranian President Hassan Rouhani has demanded an independent investigation of the incident and warned that Iran has so far used the language of diplomacy to get the facts, but if needed "the Islamic Republic is also prepared to use the language of force." Iran understands that the Kingdom's legitimacy is based on being a competent and effective "Custodian of the Two Holy Mosques" in Mecca and Medina (the King's title). Discrediting the Saudi handling of the Hajj undermines the Kingdom's prestige and legitimacy across the Islamic world. With Janet Yellen virtually proclaiming that she is central banker to the world it's time to roll out this post again, last retitled and reposted on January 28, 2015. A central tenet of my view of the markets is that there's just one worldwide pool of liquidity, and it is ruled by the same Killer Whales operating out of a few world financial capitals. We call those whales (or sharks if you prefer) Primary Dealers. They feed in the ocean of cash pumped in by the world's major central banks, essentially the Fed, the ECB (Europe), and the BoJ (Japan). The PBoC (China) is also playing a growing role as it integrates its financial markets with the rest of the world's, but its system does not use Primary Dealers, per se, and its linkages to the rest of the world are more obscure. The BoE (UK) is a minnow in the sea of big fish. It swims along with them.The same banks feed at the BoE trough. Here are the Big 3's Big Fish. 13 big banks are the kings of the financial world. 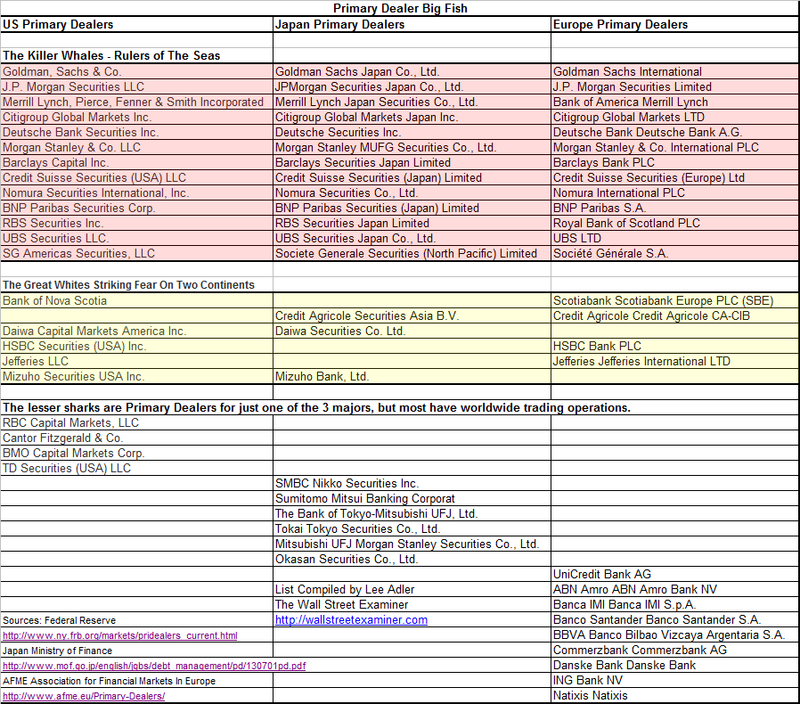 28 others are also players who drink from one or two central bank fountains and play in the worldwide sea of liquidity. The United Nations General Assembly (UNGA) in New York is an opportunity for countries around the world to put their best foot forward, and hopefully win accolades as a “peaceful,” “responsible,” and/or “insert-adjective-of-your-choice” power. After wrapping up this weekend, world leaders are headed home now with a scorecard of wins and losses to explain to their domestic publics. For Japanese Prime Minister Shinzo Abe, his stint at UNGA was overall positive, but it is questionable whether any of his diplomatic victories were substantive or are sustainable. What did Abe accomplish? He had a meeting with Russian President Vladimir Putin, informally talked with South Korean President Park Geun-Hye, and caucused with the leaders of Germany, Brazil, and India to push for UN Security Council (UNSC) reforms. Each of these meetings are an important step forward, but really only foreshadow future accomplishments instead of being meaningful in and of themselves. His pledge to increase aid for countries around the world was met with predictable appreciation, while his refusal to take in any refugees elicited predictable cynicism. Perhaps the most important win for Abe, and one that he cannot directly claim credit for, is that the highly controversial security bills that just passed in Japan also survived unscathed. The meeting between Abe and Putin is important because it led to an agreement to restart peace talks, and Putin accepting an invitation to visit Japan. Though Abe’s willingness to wait for “when the timing is best” for Putin’s visit indicates he is not tied to realizing the visit this year, there is eagerness in Japan to restart negotiations. Protecting Japan’s territorial integrity is an important issue to Abe and his base of conservative supporters, and so progress on the dispute with Russia on the Northern Territories would dovetail nicely with Abe’s overall agenda – if there is progress. From the Russian side, they want to keep peace talks separate from negotiations over the islands; as Russia holds the upper hand, manifested through economic development and political visits to the islands, it is not quite clear what Japan can realistically get from negotiations. So, yes, Abe’s meeting with Putin was critical, as relations had been frosty since the Ukrainian crisis, but it will be an uphill battle from here to achieve Abe’s objective of recovering the Northern Territories. Senior level talks on the territorial issue will resume on October 8, after having been suspended since January 2014. Abe’s chat with Park in the anteroom before a luncheon also bodes well for the trilateral summit with Chinese Premier Li Keqiang expected to be held in late October or early November. Both leaders need a successful trilateral summit (as well as a bilateral summit between the two of them) due to domestic worries about deteriorating relations. Much like the conversation with Putin, however, this chat is only the beginning of a long, arduous path to normalize a critical relationship for Japan. Abe’s meeting with Angela Merkel, Dilma Rousseff, and Narendra Modi was the first time the leaders of the Group of Four (G4) met together to push the UNSC reform agenda in 11 years. They are pushing for concrete moves to make the UNSC a body more reflective of the world’s realities 70 years after it was first set up. Abe continues to stress Japan’s financial contributions to humanitarian efforts and global institutions to argue for Japan’s inclusion. The G4 leaders want to see “concrete results” rather than more “discussions,” and are pushing to increase the number of UNSC permanent members from 5 to 11, and nonpermanent members from 10 to 14 or 15. But if the past is any indication, simply talking about doing things will not accomplish much. At least Abe did secure the support of Jamaica and the Caribbean Community to reform the UNSC shortly after UNGA, when he stopped by Kingston on Wednesday. While many countries believe UNSC reform is important to increase the legitimacy of the body, there will be bitter disputes over which countries should be allowed to join. The P5 states also have their own interests to protect, as expansion of the body would necessarily lead to the dilution of their individual power. As proof of Japan’s commitment to the UN and the global community, Abe pledged to contribute about $810 million to support refugees from Iraq and Syria, as well as an additional $750 million for peace-building measures in the Middle East and Africa to prevent an exodus of refugees. But Abe coldly rejected the idea of granting asylum to refugees, saying, “As an issue of demography, I would say that before accepting immigrants or refugees we need to have more activities by women, by elderly people, and we must raise [the] birthrate. There are many things that we should do before accepting immigrants.” That Japan cannot deal with these economic challenges while also accepting refugees shows the limits of creative thinking in the Japanese government. Accepting refugees is one part of proactive pacifism if it is being done in relation to people who are really in trouble. Another aspect of activism is the extent to which development assistance reaches the lower echelons of a society. Unless Japan becomes more active in accepting refugees, I would have to say there is no proactive pacifism in Japan … Although there is talk about proactive pacifism, we hear nothing about the extent Japan is prepared to make sacrifices for such a purpose. That is why I feel that is only a slogan. No one is surprised by Abe’s choice, considering Japan’s long history of rejecting asylum seekers, but that doesn’t make anyone happy with it. As I already mentioned, maybe the most important tally for Abe is that neither Park nor Chinese President Xi Jinping criticized Japan’s security reforms. Park’s speech does not mention Japan at all, and Xi only brings up “Japanese militarism” in the context of the Chinese People’s War of Resistance Against Japanese Aggression and the World Anti-Fascist War. Of course, this is the time for leaders to talk about their country’s contributions, and it makes sense for Park and Xi to not waste their time with cheap shots at Japan. But had there been criticism, it could have been devastating. This could reflect Park and Xi’s understanding that the security legislation that just passed is really not as far-reaching or dramatic as opponents claim. All in all, Abe had a good time in New York. He took some noticeable steps forward on a variety of important initiatives – but seeing these initiatives through to completion will take a lot more work. Furthermore, it exposed again the limits of Japan’s “proactive pacifism.” But at least the furor over the security bills seems to be dying down. Now Abe can return to Japan and focus on the economy, like his constituents want him to. Even a casual glance at the IMF’s World Economic Outlook statistics for Russia shows the tight correlation since 1992 between GDP growth on the one hand and oil and gas output, exports, and prices on the other (economic series availablehere). According to the IMF’s 2015 Article Iv Consultation-Press Release and Staff Report, published August 3, oil and natural gas exports comprised 65 percent of exports, 52 percent of the Federal government budget, and 14.5 percent of GDP in 2014. Including their domestic contribution, hydrocarbons represent ~30 percent of GDP. Vladimir Putin, in his address to the United Nations general assembly, called on world leaders to join him in what he described as a contemporary “anti-Hitler coalition”. It was to begin with air strikes on the positions of radical jihadis from Islamic State (Isis). According to the official version, the goal is not to protect the “Russian world” (ethnic Russians living abroad), which was the justification for action in Abkhazia, South Ossetia and Crimea. Instead, it is in some ways the reverse – to protect Russia from outside influences, specifically from those fighting in the ranks of Isis who could one day return home and launch attacks in Russia. Already, since the spring and with surprising regularity, top-ranking government officials have discussed the dangers posed by the claimed thousands of Isis volunteers who have joined from Russia. 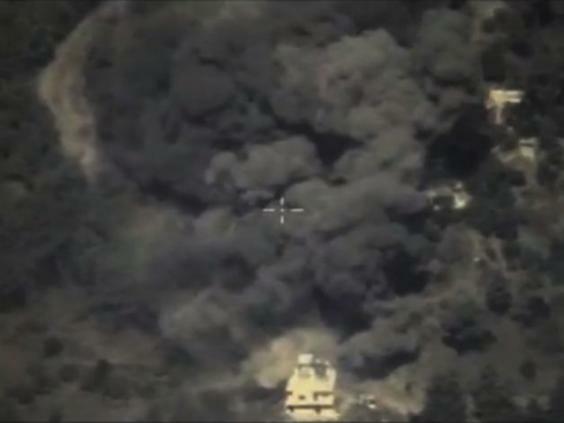 There is a legitimate question in play here: does the danger posed to Moscow by Russian “graduates” of Isis really require the expensive transfer of a squadron of military aircraft, hundreds of soldiers and now air strikes on the positions of the Islamists fighting against Assad thousands of miles from the Russian border? Or could they be identified and stopped by special intelligence services on the Russian border if trying to get back home? IN JUNE THIS year Jack Ma, the founder of Alibaba, a giant Chinese e-commerce firm, addressed the Economic Club of New York, whose members include many Manhattan luminaries and Wall Street chiefs. Mr Ma’s message was that his company exists for the long-term good of society, a far cry from the creed of shareholder value followed by many in the room. He pledged to help America’s struggling small firms export to China’s 630m internet users, who between them now spend more online than Americans do. The venue for the event was the Waldorf Astoria hotel, which, when it opened in 1931, in the midst of the Depression, was hailed by President Herbert Hoover as “an exhibition of confidence and courage to the whole nation”. Today the Waldorf is owned by a Chinese insurance firm run by Deng Xiaoping’s grandson-in-law. The whole event seemed to symbolise a change in the world’s economic order. Yet as a parable of American decline that would be too neat. The lesson from Mr Ma’s big day in the Big Apple is more subtle: that America remains the world’s indispensable economy, dominating some of the brainiest and most complex parts of human endeavour. Alibaba is listed in New York, not on Shanghai’s bourse, whose gyrations this year have alienated investors. Four of the six banks that underwrote Alibaba’s flotation were American. Alibaba makes only 9% of its sales outside China (and has just hired a former Goldman Sachs executive to increase that share). The Waldorf is run by an American firm, Hilton, that does well out of owning intellectual-property rights worldwide. Days after his speech Mr Ma spent $23m on a mansion in New York state’s Adirondack mountains. No doubt he will enjoy the trout streams, but like many Chinese tycoons he may also want a bolthole in a country that embraces the rule of law. Two months later China devalued its currency, causing panic about its economy. Despite recent rumors, North Korea is not preparing for a satellite launch on October 10, when Pyongyang will celebrate the 70th anniversary of its Korean Workers’ Party. Recent satellite imagery does not show any launch preparations underway at the Sohae launch facility, said analysts with 38 North, a website providing analysis of North Korean affairs and a program of the U.S.-Korea Institute at Johns Hopkins School of Advanced Internationals Studies. A bit of background first: the idea that North Korea would conduct a satellite launch – regarded by the United States and South Korea as an excuse to test ballistic missile technology – on October 10 emerged in the aftermath of North-South tensions this August. Speculation ramped up when North Korea’s KCNA published an interview with the director of North Korea’s National Aerospace Development Administration, who said that Pyongyang was in the “final phase” of developing a new earth observation satellite. Analysts at 38 North, however, said satellite imagery analysis tells a different story. “[A]ll these reports about a possible long range rocket or nuclear test on or before October 10 are just all wrong,” Joel Wit, a co-founder of 38 North and a senior fellow at the U.S.-Korea Institute, told reporters on Monday. There’s “no evidence to support it whatsoever,” Wit said. When it comes to predicting secretive North Korea’s cycle of nuclear tests and rocket launches, observers are often left groping in the dark. Even so, the 70th anniversary of the founding of the ruling Workers’ Party on October 10 probably offers as good a clue as any for gauging Pyongyang’s next move. While North Korea insists it is simply pursuing a peaceful space program, much of the outside world, including the United States and South Korea, believes it is more interested in developing ballistic missiles that could eventually carry nuclear warheads. In consideration of the overlap in technology between a potential weapon and a delivery vehicle, the UN Security Council tightened sanctions on the oft-censured regime in response to a similar satellite launch in 2012. The United States first opened an embassy in Ashgabat, Turkmenistan on March 17, 1992. Today, the U.S. Ambassador to Turkmenistan and the Mayor of Ashgabat broke ground on a new embassy complex, set to be completed by summer 2018. Turkmenistan’s President, Gurbanguly Berdimuhamedov, has a noted obsession with white marble and beautifying the Turkmen capital. Earlier this year, the city unveiled a bronze statue, covered in 24-carat gold leaf, of the president riding a horse atop a massive marble pedestal. The monument is 69 feet tall. I called it a “69-foot distraction” because while news agencies around the world ran pithy stories about the bizarre monument, Turkmenistan’s depressing human rights record and fragile economy remain footnotes in international news. The gas-rich desert country says that the massive spending spree has already poured in $8 billion in international investment and $1.9 billion of its own funds since gaining its independence from the Soviet Union in 1991. “We are directing the profit from gas exports into improving the quality of life of our people,” President Gurbanguly Berdymukhamedov said. Turkmenistan has sustained considerable growth rates since independence mostly due to a booming energy trade. While the dip in hydrocarbon prices over the past year has touched the Turkmen economy, its largest trading partner–China–remains hungry for Turkmen gas and owing to progress between the West and Iran, Europe is keen on tapping into Turkmen reserves as well. Still, Turkmenistan is not completely insulated from regional or global economic instability. In September, as reported by Eurasianet, state media carried reports that Turkmen authorities were proposing to abolish notable parts of the welfare state: free electricity, cooking gas and water. Ashgabat uses construction as “a key means of transferring patronage among the elites,” Jardine noted. Meanwhile, Washington is trying to use construction as a form of messaging. “This is not just another building project in Ashgabat,” Mustard said at the ground breaking. Originally published on April 28, 2015. But games can also teach history and strategy. In 2014, James Lacey — a professor at the Marine Corps War College — designed part of his war, policy and strategy course around a computer game called Darkest Hour. Diplomats call for it. Astronomers see it as vital. Even military officials usually separated along old geopolitical fault lines view it as a matter of mutual self-interest. Virtually everyone agrees that outer space should remain free of weapons. But decades of diplomatic efforts to ensure that it does have failed to produce a significant new agreement among nations. And with the United Nations set to discuss space arms once more later this month, experts anticipate little headway. To blame for this stalemate are clashing visions of what an agreement on space weapons should look like. A majority of countries, led by the Russian Federation and China, support proposals for a legally binding treaty prohibiting the placement of weapons in space. But the United States has consistently opposed such a deal, endorsing voluntary measures instead. This protracted impasse reflects the enduring influence of Cold War-era geopolitics on every terrain of military activity. But as both sides have come to depend increasingly on space technology for everything from communication to navigation to scientific research, observers say that failing to prevent the weaponization of outer space could have dire consequences. “The collateral damage of a war in space would be extraordinary,” Michael K. Simpson, the executive director of Secure World Foundation, a nonprofit that advocates on space policy, tells Quartz. Simpson says space warfare would probably produce a massive amount of debris. Prime satellite orbits are already crowded with many thousands of pieces of this so-called “space junk”—the byproduct of decades of human activity in space. More than a month after the deadly bombing at central Bangkok’s Erawan shrine, the Thai authorities have made two arrests in the case, and issued at least seventeen arrest warrants overall. On Monday, the Thai police announced that one of the men in custody was the person caught on closed circuit television on the day of the bombing in August—the man who appeared to be leaving a bomb at the shrine. But some Thai commentators remain doubtful that the government has gotten closer to actually solving the case. As I Please When Will They Ever Learn?